Are you ready for the long weekend? 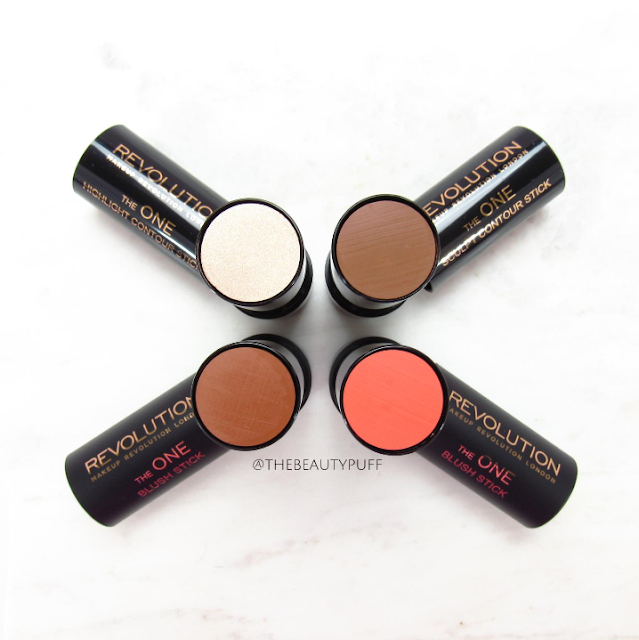 Get your beauty bag ready with Makeup Revolution's new The One sticks featuring a contour, highlight and two blushes that can be used on the cheeks and lips! These travel-friendly beauties have the pigment and versatility to get you through a long-weekend or even just a busy morning. The Style | Each of these sticks comes in a sleek twist-up style that's portable and easy to use. The highlight and contour have glossy caps and the blushes have matte caps. As with any cream/stick product, be sure not to keep these in extreme heat, because they will definitely melt. The Function | You can use these sticks either wet or dry. Blending with a dampened beauty sponge will give a softer, more diffused look. If you prefer a bolder, more vibrant look, you can apply it directly to the skin and blend with a brush. The blush sticks can be used on the lips or cheeks. I prefer using them as blushes because I wear mainly nudes and pinks on my lips. The Pigment | Each of these sticks has great color payoff. The coral blush is more suited to the warmer months but each of the other shades are versatile enough to be used in any season. I found the contour and Matte Malibu to be a bit dark for my light skin. I've gotten the most use out of the highlight stick. I love how it gives a glow without looking chalky or glittery. For a more intense look, top with your favorite powder highlighter. Overall I really like the convenience of these sticks and would love to see some lighter everyday shades added to the line. 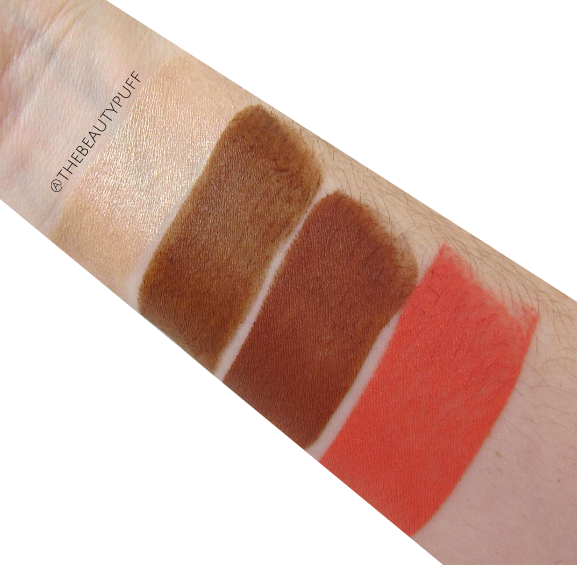 You can find the Makeup Revolution The One sticks on their website or below on Ulta.com.